We have presented information from the annual reports of the American Scenic & Historic Preservation Society in several other places on this website. 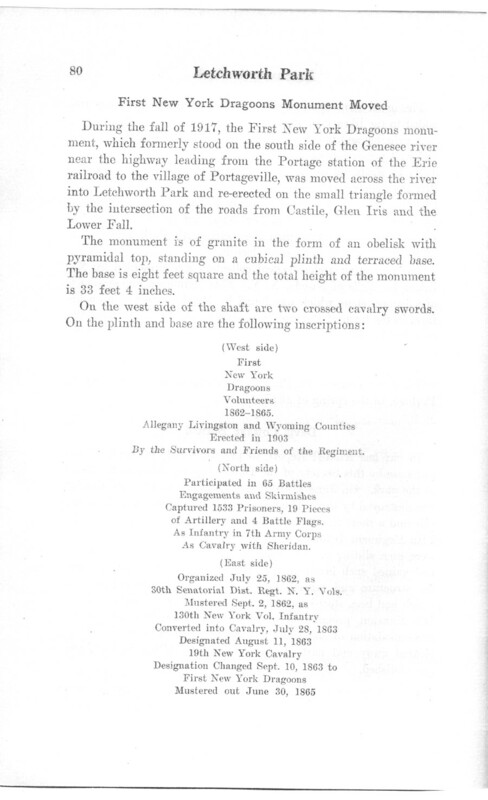 The beauty of these ASHPS reports is that they now represent Park history in fine detail. 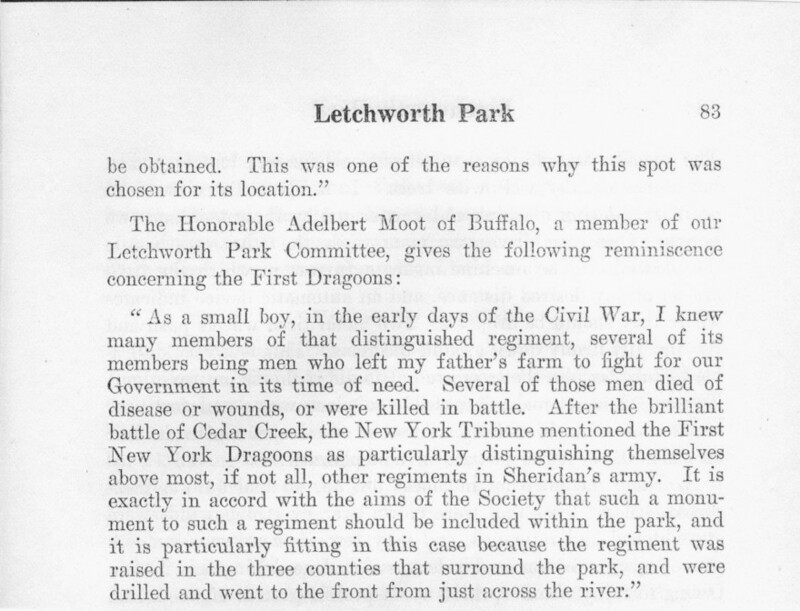 For example, Part I of the 1919 report on Letchworth Park found in our "Pieces of the Past" section, has 21 subtopics listed, each section providing wonderful factual information that the Society included for the benefit of their members. This information is now of great historical interest to folks like us who are very interested in the history of the Park. 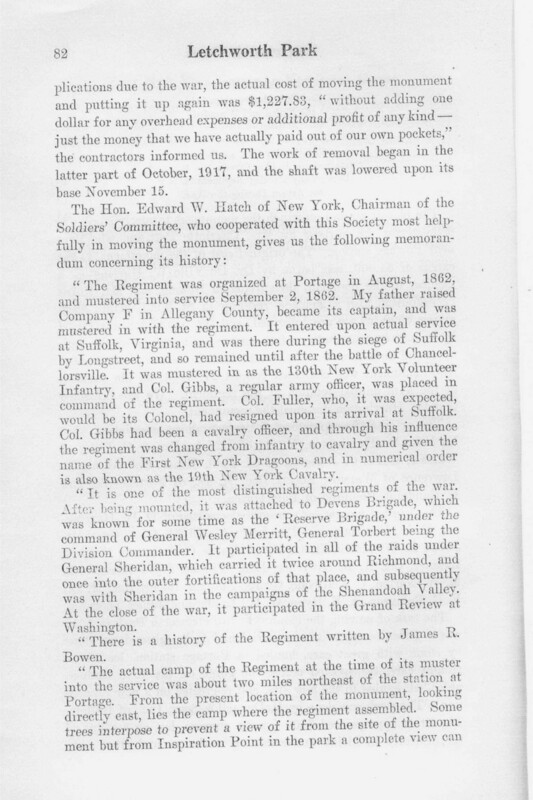 Another example is from the 1918 report that tells the story of the Dragoon Monument and its movement to its present location at the top of Eagle Hill in 1917. 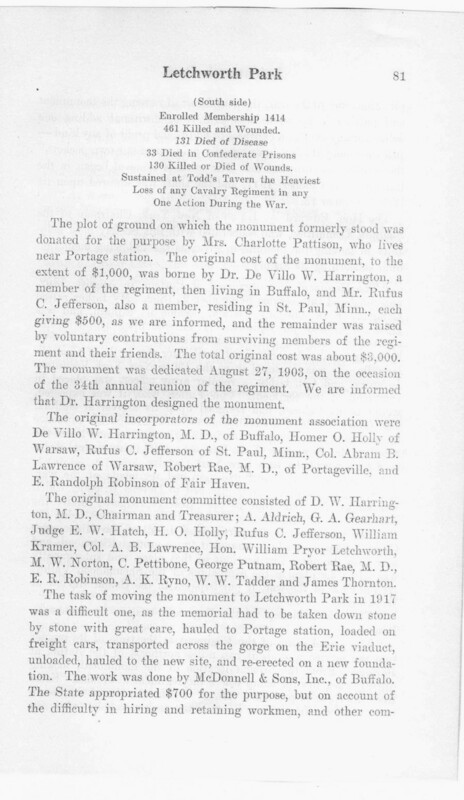 We have reproduced from the original report those pages below.